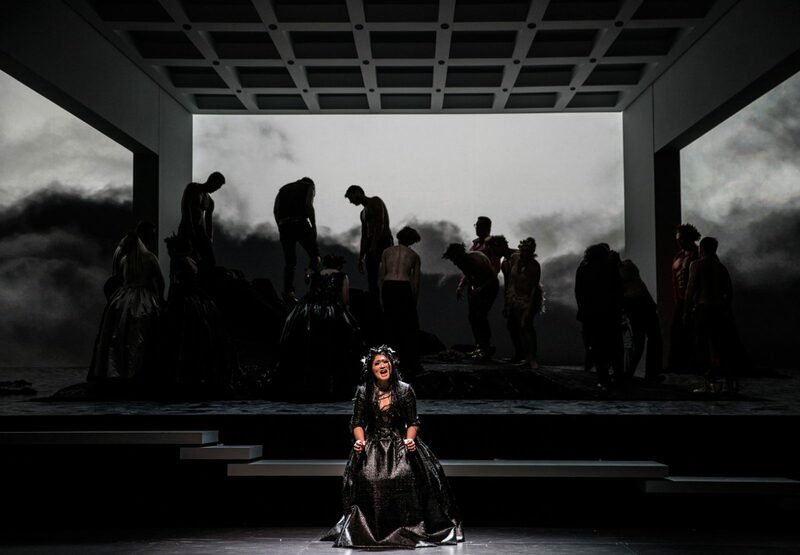 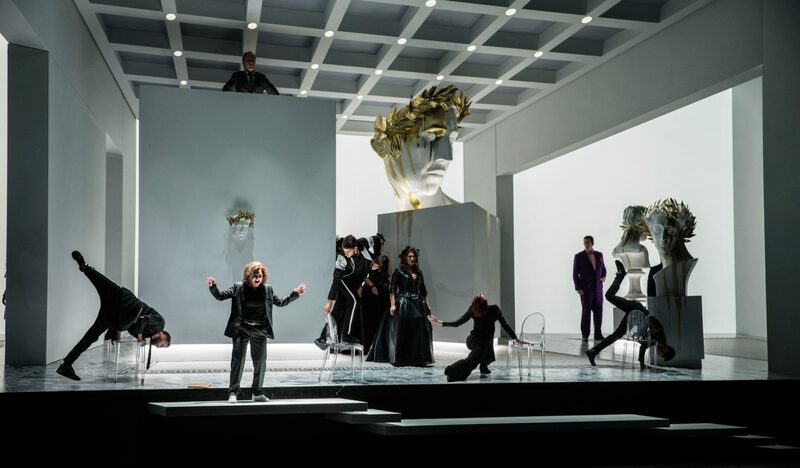 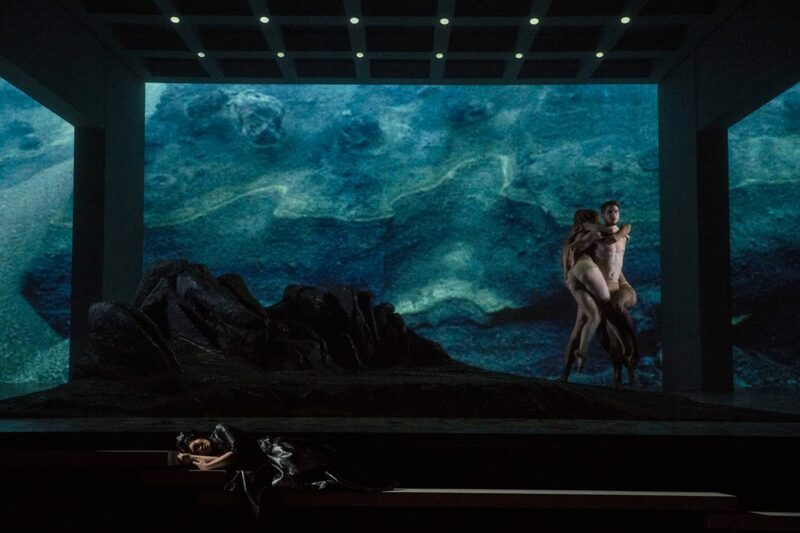 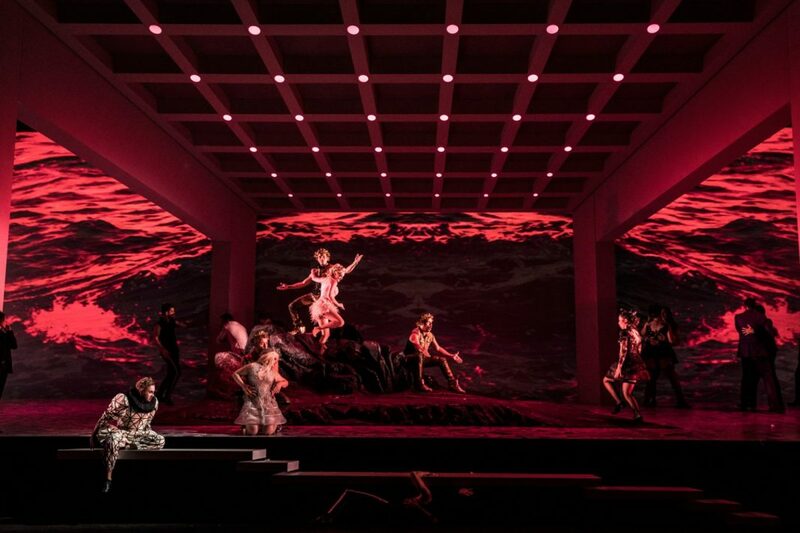 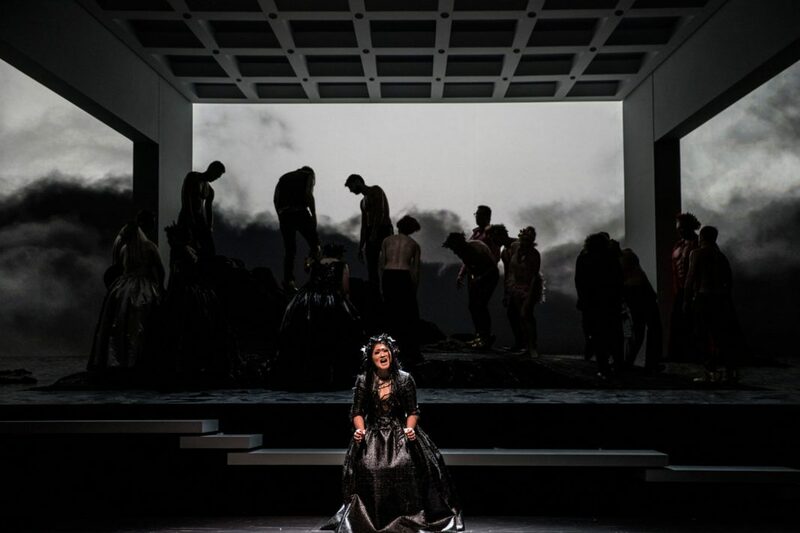 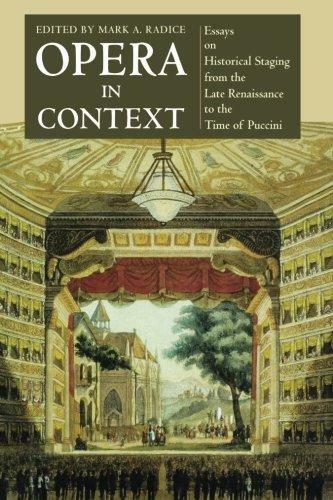 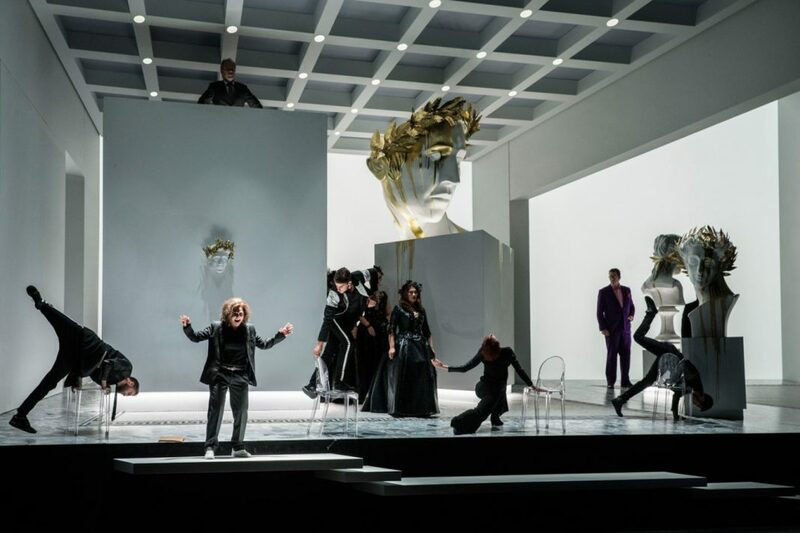 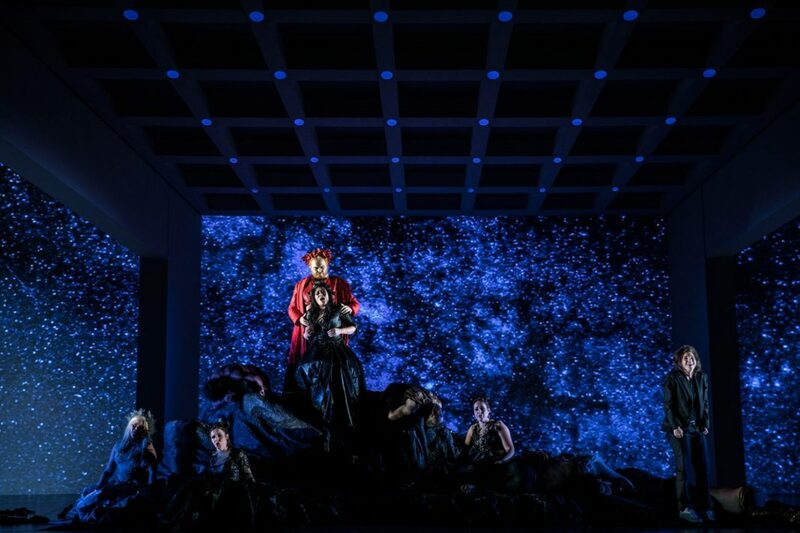 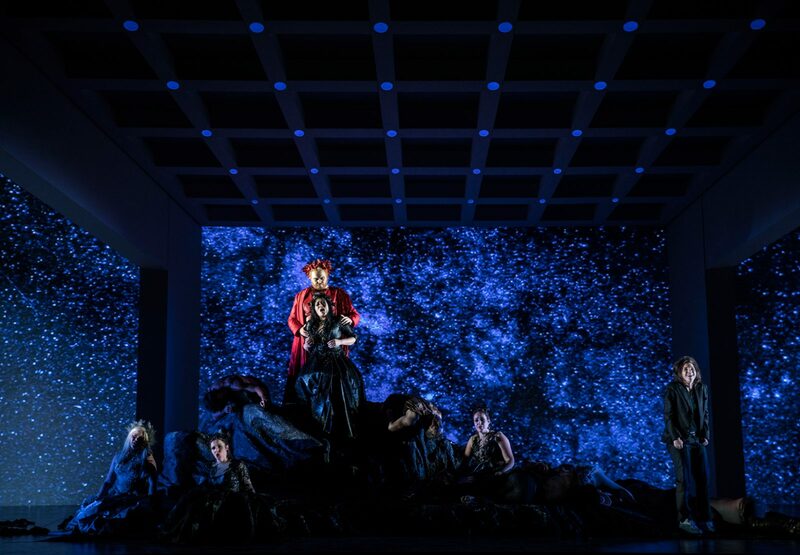 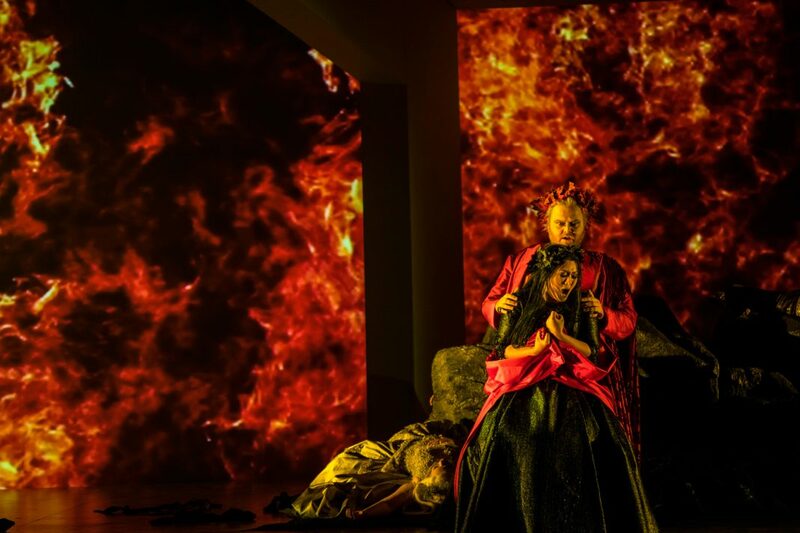 The complex and peculiar plot of Ariadne Auf Naxos creates a series of interesting aesthetic and conceptual challenges for a scenographer, not least due to the fact that the Prologue and Opera scenes are completely contradictory in style. Act I, the Prologue, is set in the house of the “richest man in Vienna” – an enigmatic patron of the arts. 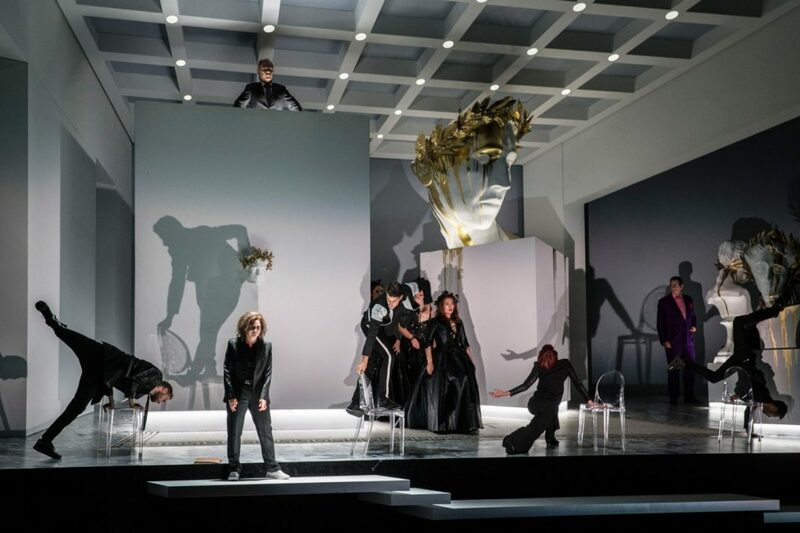 “In many productions, this is presented as a backstage comedy of errors – with the two conflicting groups of performers (namely the Commedia dell’arte troupe and the Opera Seria ensemble) farcically appearing from and disappearing into their dressing rooms” Gary McCann told Scenography Today. 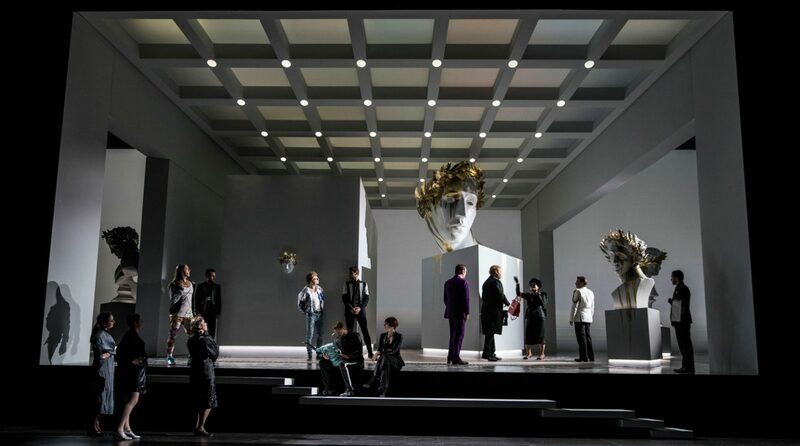 “In our interpretation, the whole opera exists within a contemporary “white cube” gallery space – with performers weaving between plinths which support large Neoclassical busts”. 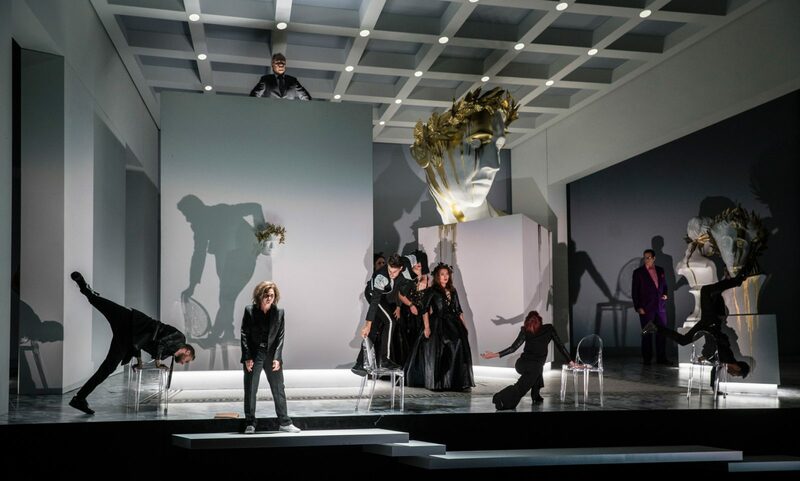 In McCann’s set, the statues represent the cultural interests of the “Richest Man” and visually serve as an exploration of the ideas within libretto regarding the artist’s position in society, the questionable influence of the patron, and the transformative power of Art. 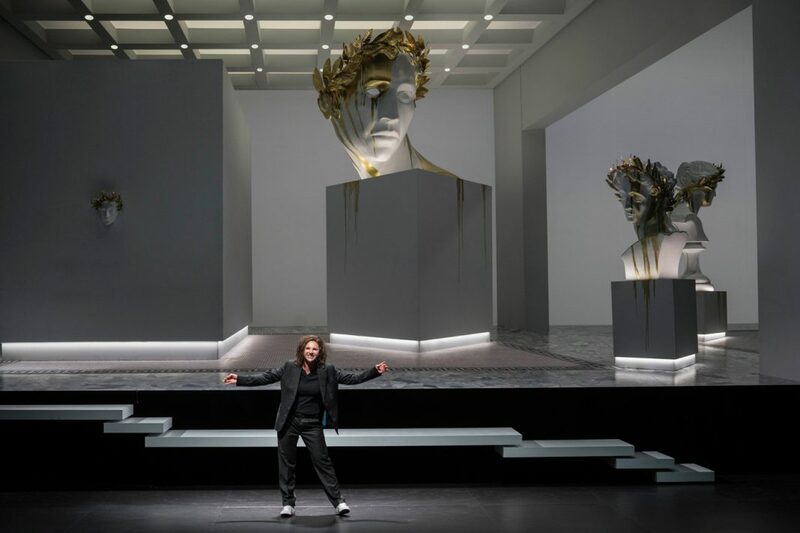 “The transformative power of Art is specifically referenced in the gilded laurel crowns, which appear to be bleeding streams of gold paint, pouring down the faces and dribbling even further down the white plinths.” “Art”, as envisaged in these busts is thus viewed as something alive – shifting, mysterious, metamorphic. 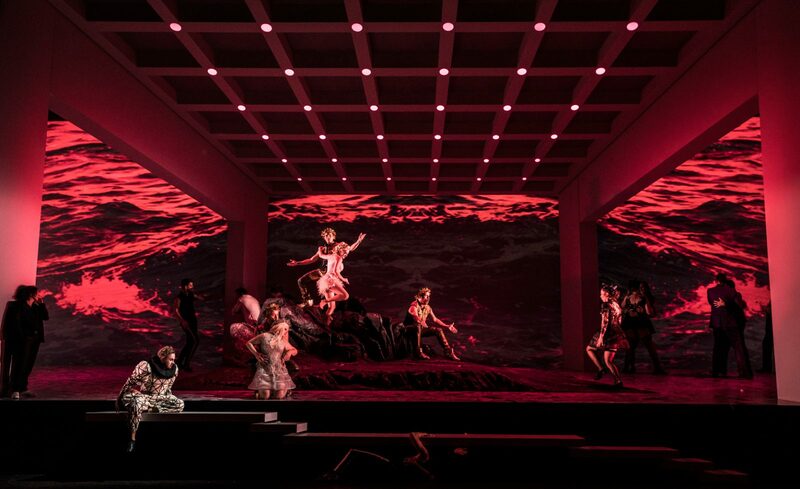 Act II, the Opera, takes place on Ariadne’s desert island. 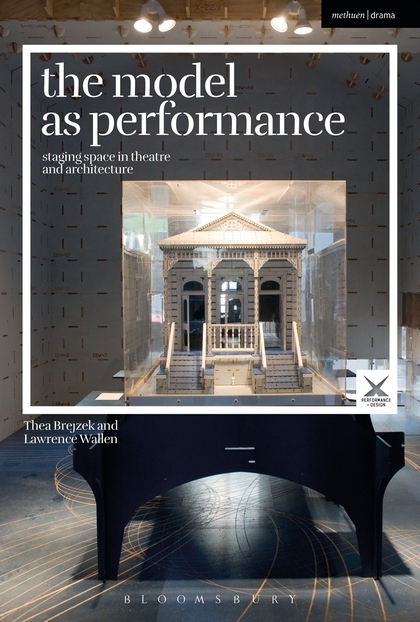 “Here is it imagined as a jagged black rock isolated and incongruous within the pristine architecture of the gallery. This visual paradox encourages further questions regarding what is real, what is imagined, are we looking at another piece of art?” continues the designer. 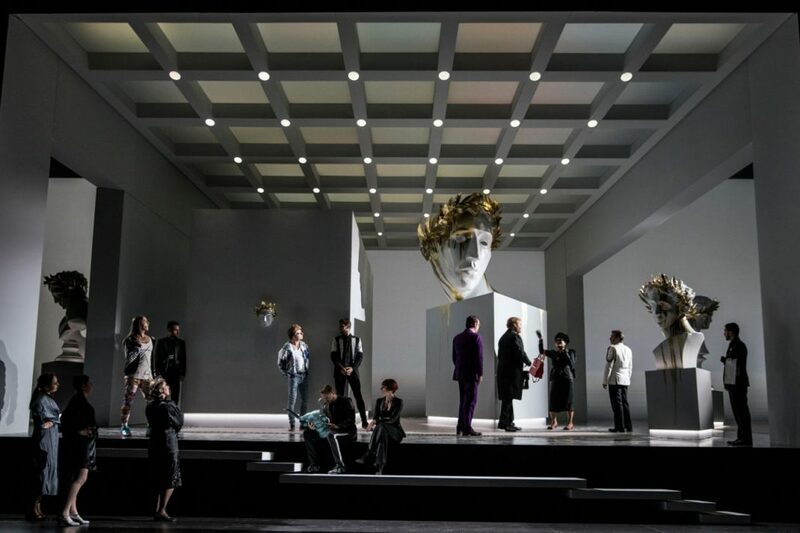 Zerbinetta, arrives carried aloft, a vision in powder pink bugle beads and ostrich plumes. 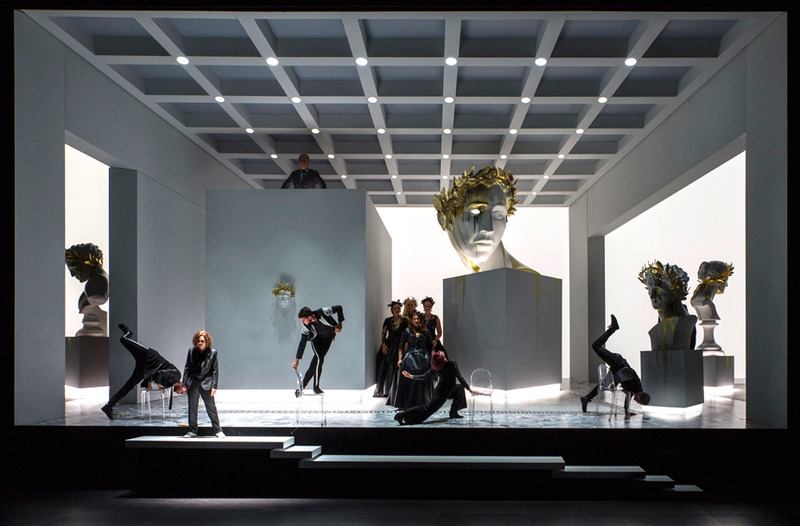 All our performers are now crowned in laurel wreaths – transformed through music and fantasy into demi-gods. 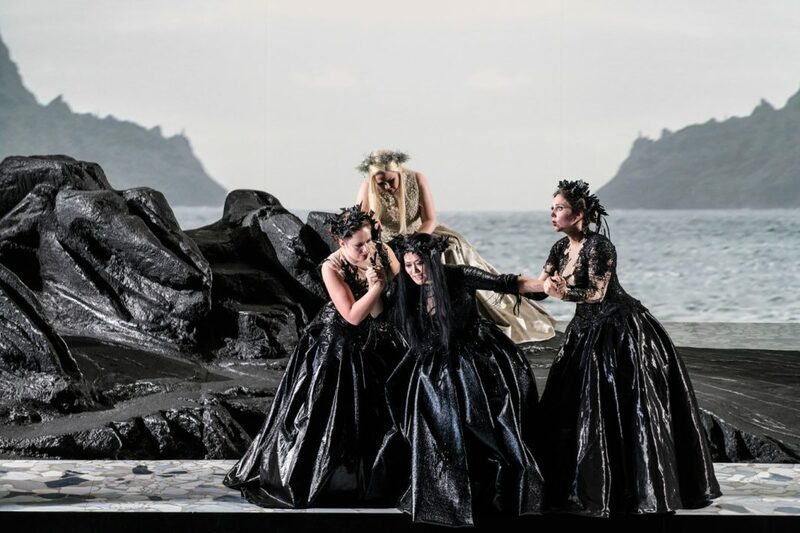 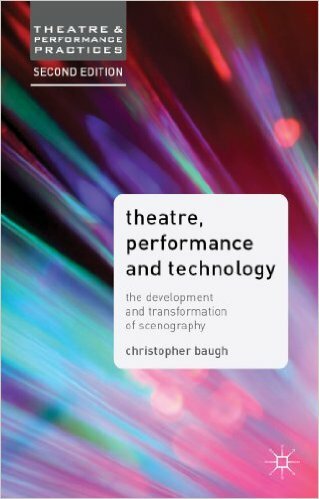 “Similarly, anyone who knows the opera well will understand it is easy to feel transported to another dimension in the final musical passages.” McCann concludes.